This blog post contains a list of my favorite tools for promoting a blog and more along with brief explanations of how I use them. Most of these tools are completely free. The below tools can help with things like increasing traffic, building a mailing list, monetizing a blog, and more. Hello Bar enables you to add a colored bar at the top of your blog with a button that links to your desired page. You can customize the color and text on your Hello Bar. It’s very attention grabbing, so you can use it to drive more traffic to the page of your choosing. Hello Bar can be used to prompt viewers to sign up for your email list or to send traffic to one of your paid products such as your book on Amazon. Exit Monitor is a lead generation and conversion optimization tool. Exit Monitor tracks the mouse location and velocity of every visitor of a page. It uses that data to detect when a visitor is about to exit your page. Once a potential exit has been detected, Exit Monitor displays a pop up screen offer to the web visitor. This allows for an extra pageview to be displayed for a visitor that would have normally been lost. 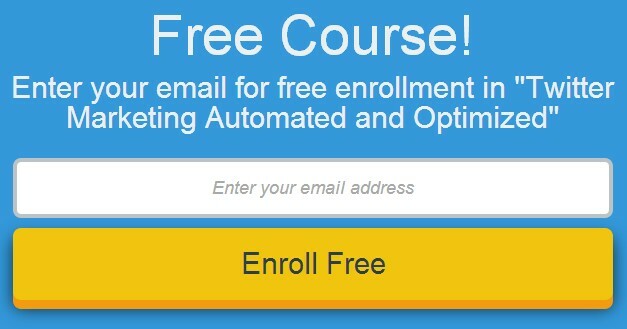 You can use the pop up screen to offer something for free in exchange for their email address, a discount coupon, or simply to prompt them to sign up for your email list. Mailchimp is my preferred email marketing solution. It allows you to collect and manage email addresses, send emails, and track results. It easily integrates with WordPress and other blogging platforms and is free to use the basic version. Mailchimp makes it easy to create well designed emails to send to your email list. It’s easy for viewers to sign up for your list and to un-subscribe. Mailchimp also provides analytics on the open and click through rates of your campaigns. Google Analytics is essential for any online business. It’s a product offered by Google that generates detailed statistics about a website’s traffic and traffic sources. It also measures and provides analytics on conversions and sales. Using Google Analytics you can gain valuable insights such as how much traffic a given post is generating, how much traffic your site is getting, where your traffic is coming from, and more. While most blogging platforms require little or no coding, you may at some point need help doing customizations or integrations. When I need help modifying my WordPress blog or editing the theme in any way, I use Codementor. Codementor is an online marketplace where you can connect with expert developers via live video calls. You simply enter what you need help with and you get matched with a developer who can help. Sometimes it only takes a few minutes to find some. Many of the developers charge very low hourly rates. I have saved a lot of time and anguish using Codementor. If you use this link, you will get $10 off. If you’re looking for a way to monetize your blog traffic, Fedora is a great solution. Fedora can provide you with a fully functional online school within hours and at no upfront cost. Using Fedora you can host, and charge for, video courses. You can hose your online school on a custom domain or as a subdomain, such as learn.yourblog.com. Check out Fedora here. If you’re promoting your blog, you’re probably using social media. Buffer is an outstanding social media management tool. Buffer’s browser plug in enables you to share any page on the web that you’re viewing across any or all of your social networks within clicks. It also enable you to schedule your social shares. Buffer is very helpful in ensuring that you are consistently sharing content and helps save a lot of time in doing so. Google Keyword Planner can be used to learn about what words and phrases to use in blog posts and titles. Google Keyword Planner will show you how many searches for given terms occur each month. It will also give you suggestions for other related keywords and phrases that users are searching. For example, to generate the title of my book on blogging, I used this tool to see what kinds of keywords and phrases people were using as it pertains to blogging. I then used those words and phrases in my title, subtitle, and Amazon description. It’s important to make sure you’re using the words that your customers are using so that they can find you. Snip.ly is a great way to turn your Twitter followers and other connections in to followers of your blog. 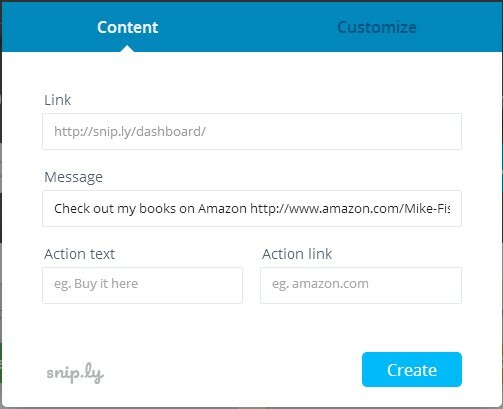 Sniply allows you to put a “hello bar like” CTA button at the bottom of any page on the web that you share. So, if you are sharing someone else’s blog post about marketing and your blog is about marketing, use Sniply to display a CTA bar at the bottom of the page linking to your blog. Anyone who clicks on the Sniply link that you share will see this CTA bar and have the option to click to your blog. Sniply integrates with Buffer, and has a great Chrome plug in, so I’m adding CTAs to pretty much every link I share. Most of the links within this blog post are Sniply links. Click any of them to see an example of how to use Sniply. Quora can be an incredibly valuable platform for bloggers. Browsing questions within your topic can give you an idea of what kind of information people want. By understanding what people want you can create more valuable blog posts. Answering questions with detailed valuable information will help you get exposure to Quora users. To learn more about how bloggers can use Quora, check out 6 Ways Bloggers Can Use Quora to Build an Audience. All must-have elements for me and last thing I’d add to the list would be social share buttons and maybe an automated SEO plugin like yoast. I’ve never tried Sniply, but the rest I swear and live by. Sniply is a new one…really enjoying it so far…highly recommend. I’m new to blogging and don’t really understand all of these, but they definitely sound very helpful. Definitely going to try them out! Thanks my man! Will do, I have so many questions!